Click the button below to add the Big and Tall Leather Office Chair with Flip Up Arms [OF-CHIEF] to your wish list. The ERA Big and Tall Leather Office Chair is made to last. 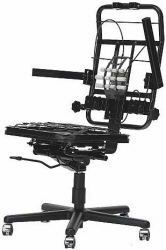 The chair features an all-steel frame that comes backed by a lifetime warranty. Chief ERA big and tall chairs are made with floating spring suspensions in the seat for maximum comfort. Choose from stain-resistant upholstery, commercial-grade vinyl or leather with matching mock leather trim. Upgrades to all-leather upholstery are available. 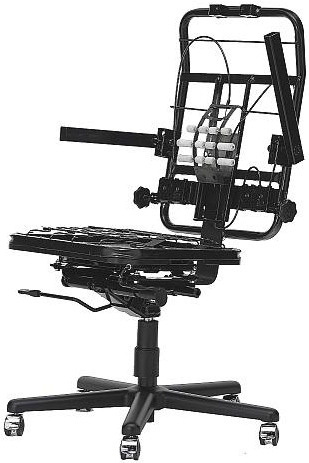 The chair also includes flip-up arms for convenience. ERA office chairs with fold-up arms are rated for 24-hour use. This design has a 500-pound capacity.